The above are items of memorabilia belonging to the author. 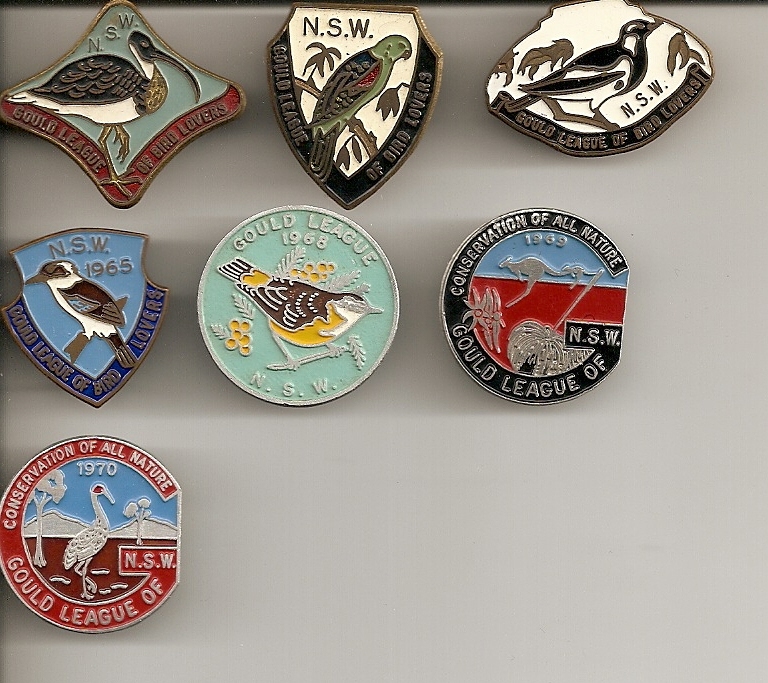 Some of the Gould League badges are hand-me-downs from siblings, while other badges represent annual membership when the author belonged to the League during primary school years. The pennant of Aboriginal Art of the kangaroo was obtained in a childhood visit to the nineteenth century fort that was built at La Perouse (Botany Bay) and is situated in close proximity to an Aboriginal community. The RSPCA bookmark is a childhood reminder of life with companion animals and of the author’s lifelong past-time of reading. Below is a copy of a tract obtained from an English antiquarian book dealer. The tract is an extract of a sermon delivered at Westminster Abbey on 18 August, 1889 by Brooke Foss Westcott (1825-1901). 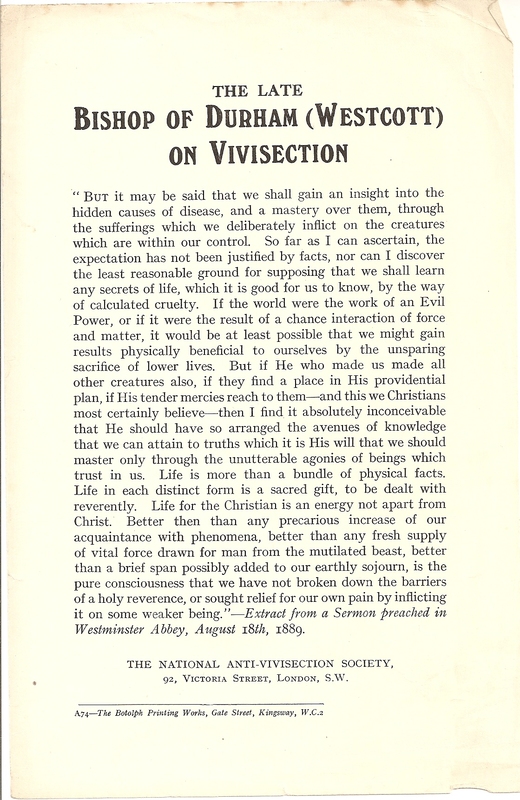 It was distributed by the National Anti-Vivisection Society (Victoria Street, London).